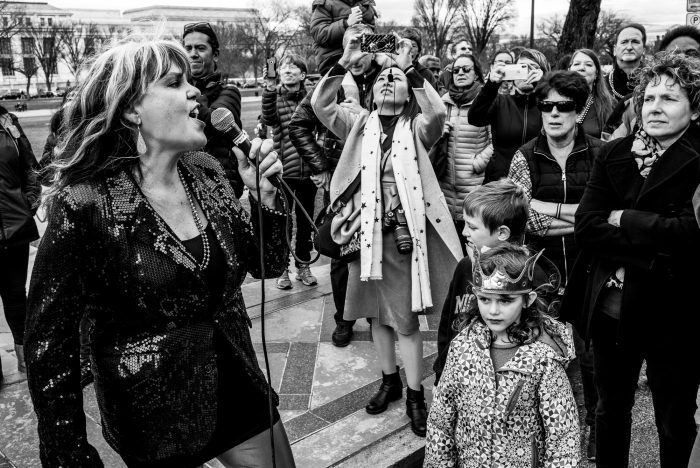 Despite the challenges of the government shutdown, the Smithsonian’s Year of Music launched with fanfare Jan.1 on the National Mall. 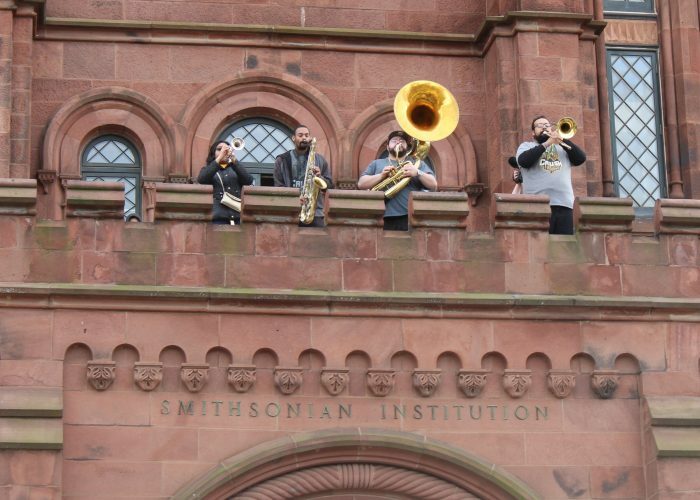 More than 1,000 visitors were surprised and delighted by performances from more than 60 musicians and dancers, including a serenade from the terrace of the Smithsonian Castle. The Smithsonian is offering content and events associated with music each day throughout 2019. On Friday, Feb. 1, the U.S. Air Force Band’s Singing Sergeants will perform three concerts at the Smithsonian’s National Air and Space Museum. Performances will begin at 11 a.m., noon and 1 p.m. Each concert will last 20 minutes. A monthly schedule of events is available at music.si.edu/events. When combined, the Smithsonian’s musical holdings, research and activities make it the largest music museum complex in the world. In addition to archiving musical heritage through the hundreds of thousands of musical artifacts in its collections, the Smithsonian also creates music with its Jazz Masterworks Orchestra, Chamber Music Society and record label, Smithsonian Folkways Recordings. 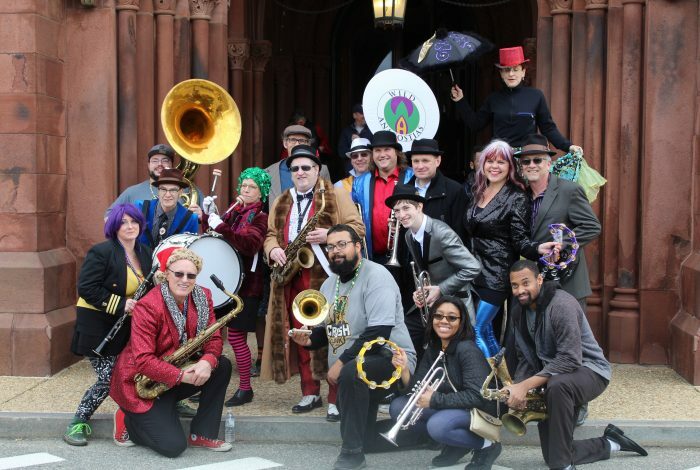 Beyond performed music, the Smithsonian Year of Music will spotlight sound from Smithsonian’s collections, including the sounds of the universe captured by researchers at the Harvard-Smithsonian Astrophysical Observatory and sounds of animals documented at the National Zoo. 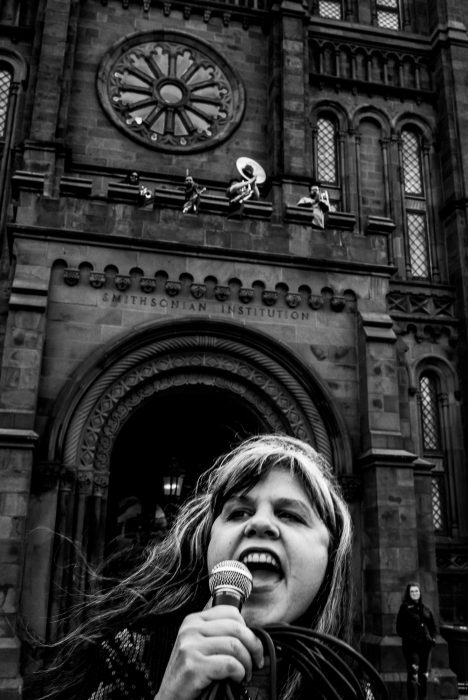 Throughout 2019, over 1,000 music and sound-related events, including performances, lectures and workshops, will be held at Smithsonian museums in Washington and New York City, as well as at affiliate museums, partner organizations and research centers across the country. Highlights include recurring events like Music Movie Mondays and Tuesday Talks, a lecture series featuring Smithsonian and outside experts that will cover topics spanning from the 42,000-year-old flute cast in the National Museum of Natural History, to music at Angola Prison in Louisiana, as well as annual events like the Smithsonian Folklife Festival and Solstice Saturday. 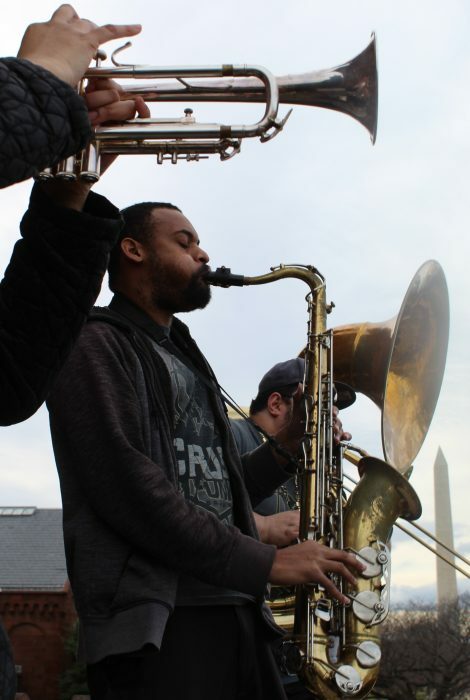 Held on the National Mall June 26–30 and July 3–17, the 2019 Folklife Festival will focus on the social power of music. The festival will feature performances, demonstrations, workshops, panel discussions and other activities related to music and its ability to bring people together. 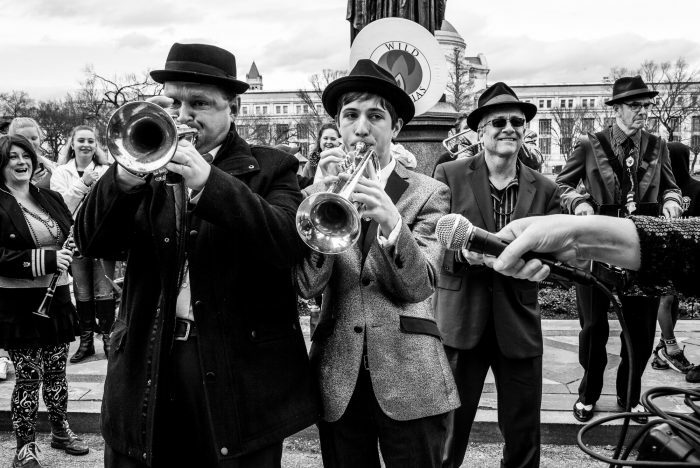 The public, both on-site and across digital platforms, will be encouraged to play instruments, join pop-up choirs, participate in social dances and share stories about the ways in which music connects them to each other and to the larger world. Music-related objects in the Smithsonian’s collections will be on display through permanent and temporary exhibitions at its museums. 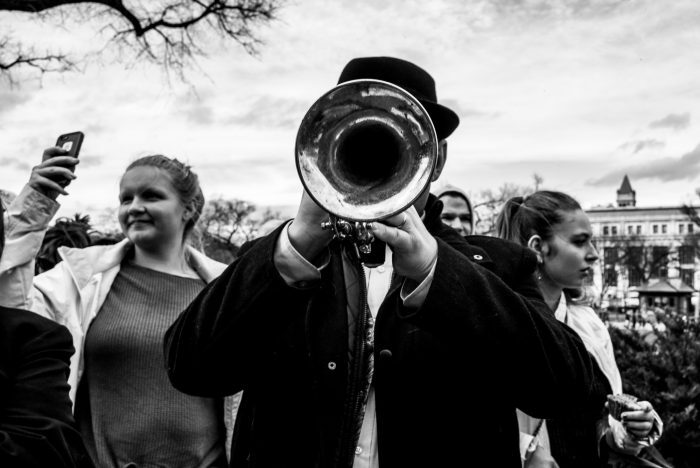 “Musical Crossroads,” a permanent exhibition in the National Museum of African American History and Culture, explores how music serves as the crossroads between musical traditions and stories of cultural and social development. The gallery is organized through stories of musical genres and themes, covering classical, sacred, rock ’n’ roll, hip-hop and more. At the National Portrait Gallery, “One Life: Marian Anderson” will highlight some of the underexplored moments in the artist’s career. Through paintings, photographs, personal effects and archival materials, the exhibition will provide a nuanced understanding of how Anderson’s many roles as singer, diplomat and muse helped shatter segregationist policies on and off the stage. The exhibition opens June 28, 2019. Throughout the year, visitors can also expect “random acts of music and sound” in the various museums, creating new sonic perspectives on both familiar and unfamiliar exhibits. For a complete list of current and upcoming exhibitions, visit si.edu/whats-on. Visitors can explore the Smithsonian Year of Music online at music.si.edu. Each day, the website will highlight events at the Smithsonian, its partners and affiliate museums across the country. In addition, the website will highlight a new digital object (photo, film, recording, etc.) and the story behind it each day. Visitors from far and wide can also explore new educational material every week and find fun facts about music at the Smithsonian.